Shaving legs in the shower can be a difficult and unsafe task. 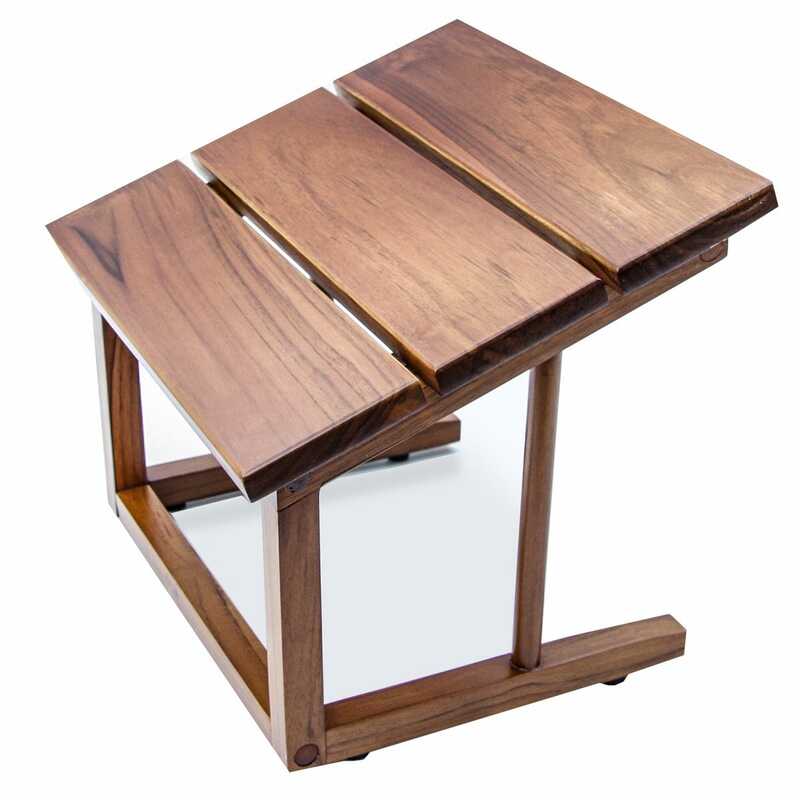 Our Teak Foot Pedestal provides comfort and convenience, all in one. This high-quality teak has a luxury design that makes it sturdy and safe to use in the shower. Teak is naturally resistant to moisture and humidity which makes it designed to be kept in the corner of your shower. This Teak Foot Pedestal is kiln-dried teak which was sanded by hand to a silk-smooth finish. Anti-skid feet at the bottom to ensure safe shaving or resting your feet. Measures 10 1/2”l x 12”w x 10 1/2”h.